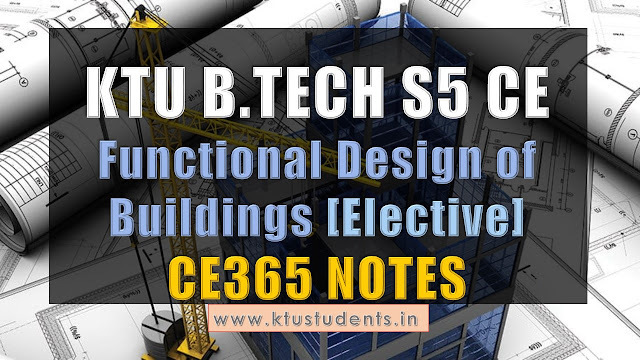 KTU B.Tech Fifth Semester Civil Engineering Elective Subject CE365 Functional Design of Buildings First and Second Module Note. 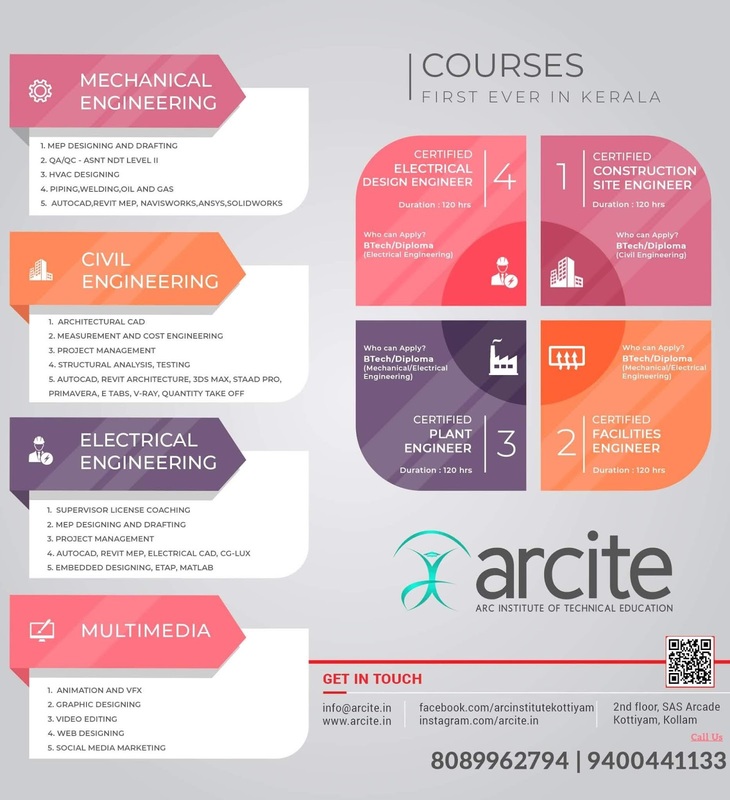 Module1:Acoustics, fundamentals: Physics of sound-Frequency, period amplitude. Intensity of sound- Watts/m2 - Bel- Decibel scales- dBA- Phon. Addition of sound levels. Human Audibility range. Behavior of sound in free and reverberant fields. Noise- allowable limits- effect of noise on human-Air and structure born noises-equivalent noise levels-day and night equivalent. Module2:Acoustics, applications: Measures of noise control- Source-path and receiving end. TL value and computation of TL value, Flanking paths. Sound absorption-materials and fixings. Reverberation-Sabines formula-Eyrings modification. Acoustical defects- acoustical design of auditoriums and small lecture halls. Acoustical considerations of offices, hospitals and Industrial buildings.